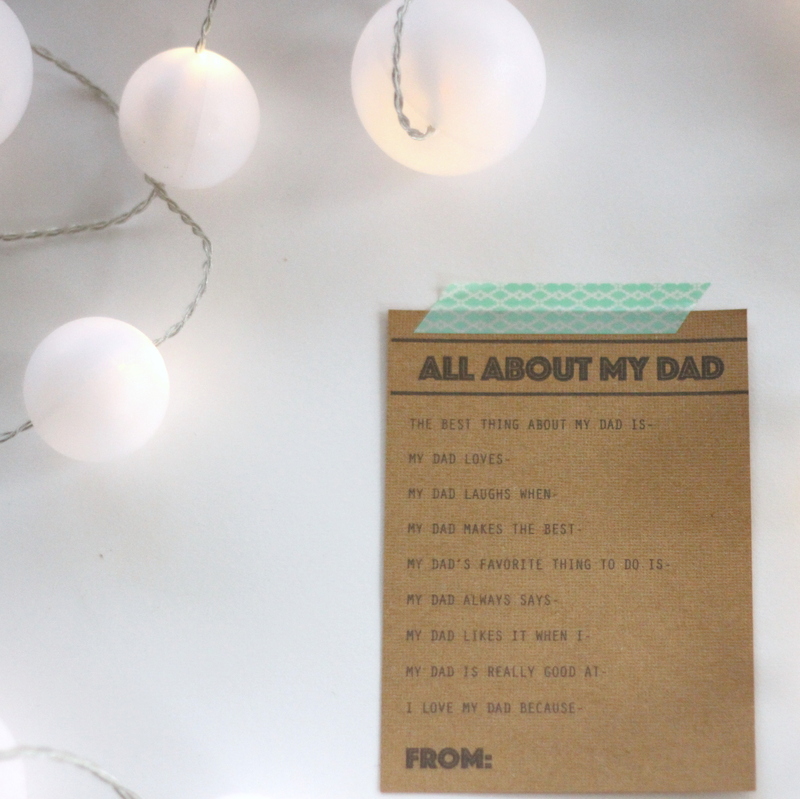 Eeeek, y’all, Father’s Day is this weekend. As in, three days away. Adam’s gifts this year are all tied to our trip to New Zealand in the spring (aka- a night at a fishing lodge, a day with a guide, etc. ), so the kids and I have been brainstorming ways to make Father’s Day special without any tangible gifts. 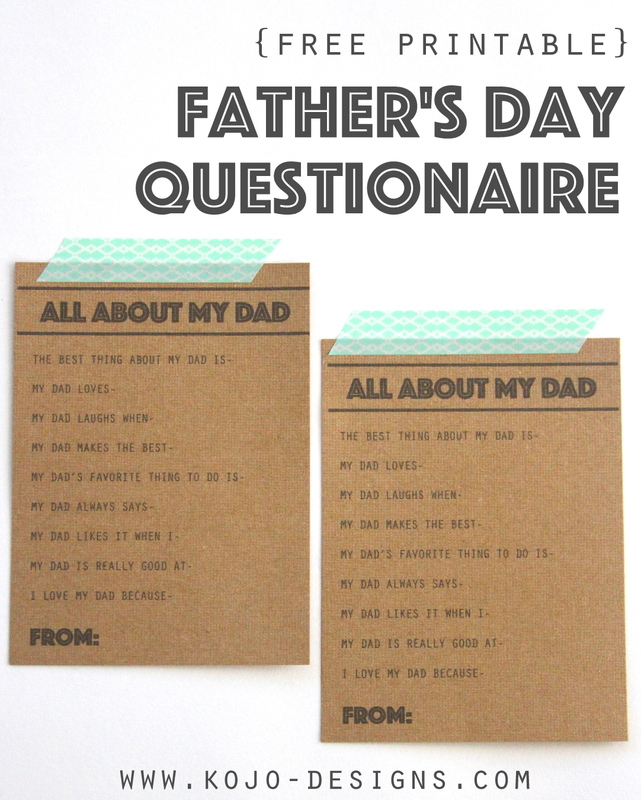 We started out with these Father’s Day questionaires- you know how these always pop up for Mother’s Day? Well, we made a couple for Adam this year. And, y’all, I will be honest, the kid’s answers were pure gold. I am absolutely making a tradition out of this. 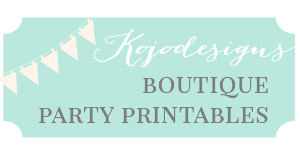 In case you need one too (and I would say you do- haha! 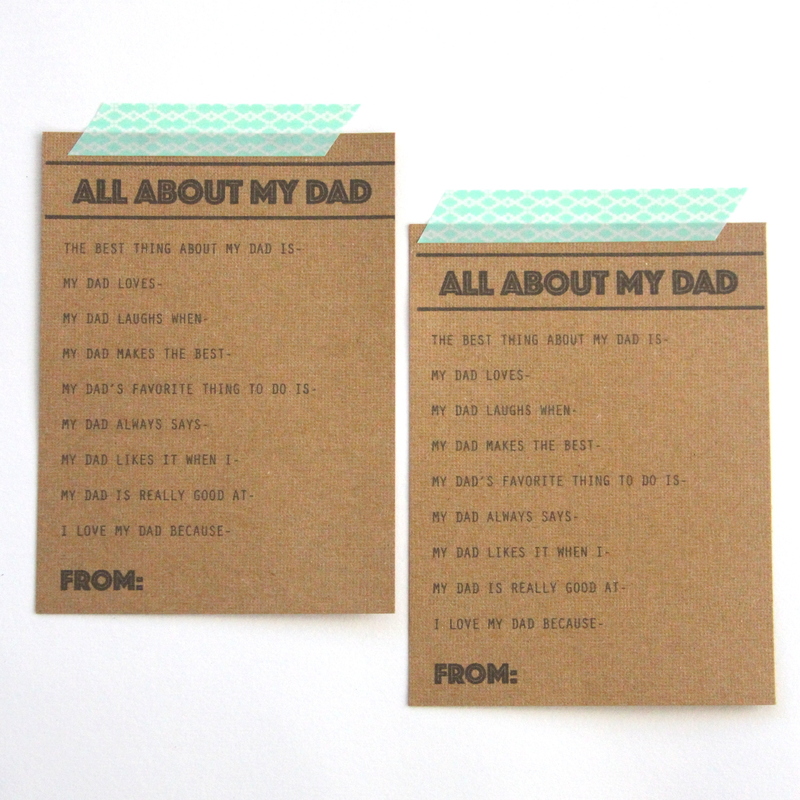 ), the about dad printable survey is here.